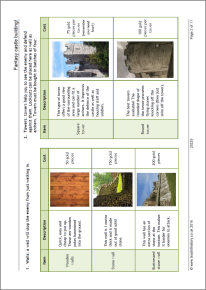 A fantastic way of getting year 7s to understand key castle terminology. They are given a budget and have to build virtual castles and then see how they fare when they come under attack! Differentiated writing frames are included for a report to William about how to defend their castles. I used this resource with my year 7 international students and they loved it.